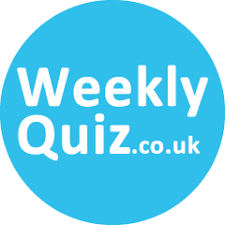 The quiz night company, Weekly Quiz has two parts to it. Specialising in corporate entertainment and weekly pub quizzes in venues. A complete one stop shop for everything quiz related. 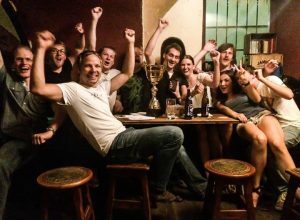 What makes a good Quiz Night Company? A good quiz night company should be able to to make any quiz idea you have a reality! Whether you are thinking of having a team building experience or fun entertainment for a company celebration Weekly Quiz will make your night unforgettable. A quiz creates a fun element of competition and gets people socialising, which will act as a fantastic ice breaker. The main difference between having Weekly Quiz as your chosen quiz night company or having another a local person to host your quiz night is our promotion methods. We have a great following of quiz players that have attended our quizzes over the last 10 years. 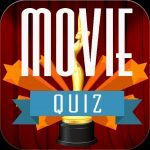 Quiz players connect with us on Twitter, Facebook and Instagram where we have thousands of followers. Here we promote up and coming events that they can attend giving us a head start when we take on new venues. Hopefully we have explained exactly what a quiz night company can add to your pub quiz or corporate event. If you need help with an event you are currently organising fill in the form below and we will get back to you within 24 hours.